Stocks: How low can you go? Investors played a game of "how low can you go" today as the three-day selloff continued to mount. 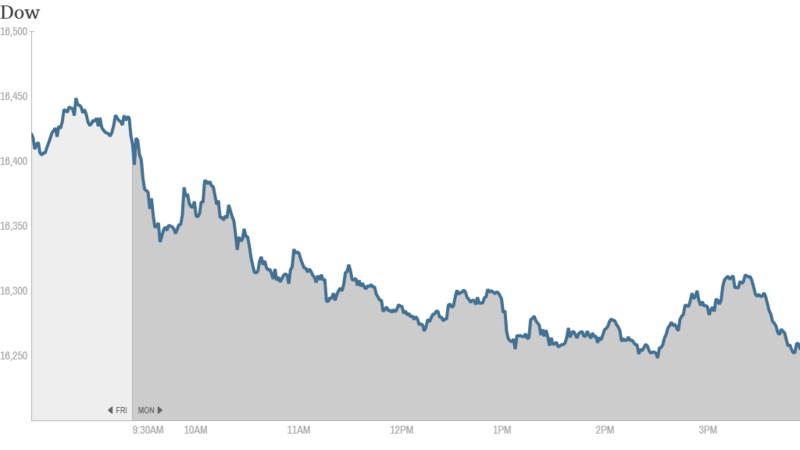 The Nasdaq closed down more than 1% after sliding a combined 3.6% on Thursday and Friday. The S&P and Dow also finished 1% lower with the Dow closing near its nadir of the day. Even worse news is that all three of these major US stock indexes are now negative for the year. The most plausible explanation for what's going on is that investors are rotating out of growth stocks, especially in the tech sector, and reinvesting into value stocks. "They took the escalator up and the elevator down," said Sal Arnuk at Themis Trading about the damage done to momentum names over the past three days.Tesla (TSLA), Priceline.com (PCLN) and Baidu (BIDU) continued to drop today. Today's "losers' club" also included Apple (AAPL), Google (GOOG) and Yahoo (YHOO). Despite reports Yahoo may be looking to produce original content like Netflix, there was little love for the company, which was down over 3%. As investors look for where to put their money, they turned to "old tech" names, such as CNNMoney Tech 30 index members IBM (IBM), Microsoft (MSFT), Intel (INTC) and Cisco (CSCO). As Joe Bell of Schaeffer's Investment Research put it: "Little pockets of strength in technology are one of the few positive signs today." Then there's biotech. Investors aren't sure what to make of these companies at the moment. 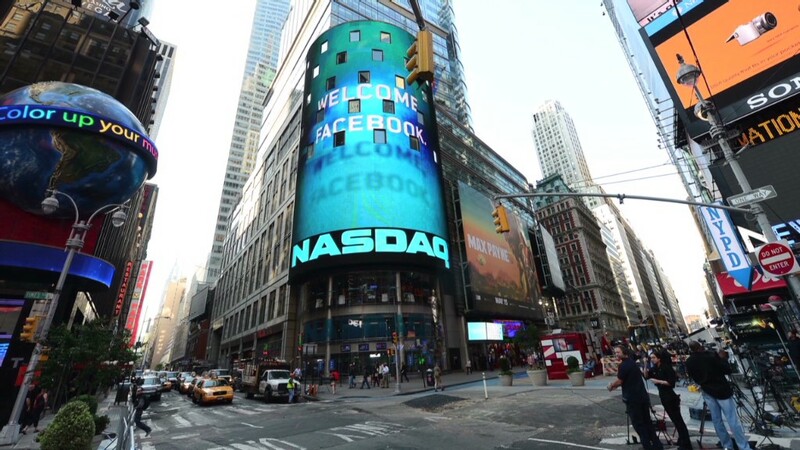 The iShares Nasdaq Biotechnology ETF (IBB) took a beating on Friday with a 4% drop. Today it was up and down before finally finishing higher. In stock news, Sears Holdings (SHLD) plunged over 6%. Its was the first day of trading after the Friday spinoff of its Lands' End (LEDMV) unit. WW (WWE) got dropkicked today after a phenomenal year-long run. chicagosean described it like this,"$WWE is doing a Jimmy Supa-fly Snooka off the turnbuckle!!" Over the weekend WWa (WWE)ired its WrestleMania 30th Anniversary pay-per-view event, but perhaps investors are underwhelmed that the WWE Network has only signed up 667,000 subscribers in the past six weeks. TXplunger characterized the sell-off like this, "$WWE When everyone is anticipating an event in a name that is near an all time high, it's usually a 'sell the news'". Elsewhere in the market, drug makers were on the move. Shares of bellwether Pfizer (PFE)slid, off nearly 3% today. Its breast cancer drug did well in tests, but the results may not have lived up to investor expectations. It's better news for Agios Pharmaceuticals (AGIO). The stock ended up over 25% after the company reported promising results in the first clinical trial of its leukemia drug. Questcor Pharmaceutical (QCOR)was one of the top trending stocks on StockTwits all day. It soared after Ireland's Mallinckrodt (MNK) announced it would buy the autoimmune drug maker for $5.6 billion. Here's why michellelang thought $MNK was falling: "Shareholders seem pissed about having their shares diluted with $QCOR contamination." And ht7896 seemed let down by the deal, "Having been long $QCOR for several years now, I'm actually quite disappointed that the buyout price was so low." If there's anything concrete behind these latest market swings, it might be corporate earnings. The reports begin this week with Alcoa on Tuesday, and big banks JPMorgan Chase and Wells Fargo on Friday. Earnings for companies in the S&P 500 are expected to be down 1.2% in the first quarter, according to estimates from FactSet. For all the doom and gloom, stock experts surveyed by CNNMoney say the bull market still has room to run. Most expect the S&P 500 to gain 6.5% this year.